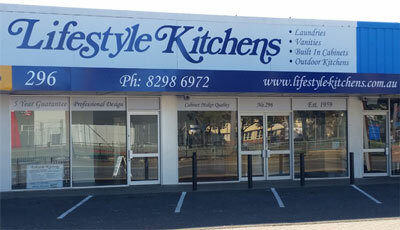 Our Kitchen Showroom is located at 296 Brighton Road, Brighton North. We have a number of kitchen displays, as well as all of the information, samples and expertise you need to help you in choosing the right Kitchen for your home. Utilise the knowledge of one of Adelaide’s most experienced Kitchen Providers when choosing your next kitchen. If you can’t come to us, we can come to you. Call us on (08) 8298 6972 or contact us today to organise a FREE no-obligation measure and quote.